Gale Encyclopedia of American Law, 3rd ed. 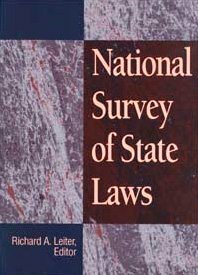 National Survey of State Laws, 6th ed. United States Supreme Court Opinions Description of this database. Contains resources and links for both state and federal laws, including resources pertaining to constitutions, statutes, cases and more.